Last week I headed to Vermont for a 3-day trip with my wife, her sister and her husband. I spent a couple of days looking at reviews of places to visit and getting input from my Twitter and FB followers on places not to miss. After spending 3 days visiting 6 breweries and eating tons of great food I have to say the trip was as good as I have had. We left Maine shortly after noon on July 4th and hit a micro burst just west of St Johnsbury. This was some of the worst weather I have ever driven in with huge amounts of rain, street flooding and multiple trees down. We had to detour several times and ended up many miles north before finally making our way back through Stowe to Waterbury. See photos and notes about the storm here. After making it to Waterbury we were ready for supper and stopped at The Reservoir for dinner and drinks. At this point I had been driving for 4+ hours and needed a beer. Fortunately they had a great tap list as well as some great burgers. I had a Hill Farmstead Edward, then an Abner and ended with a Celia Saison from The Alchemist. My brother in law opted for a sampler including; Lawson’s Knockout Blonde, Fiddlehead IPA, Harpoon Ginger Wheat and Hill Farmstead’s Abner. I tried each of these in addition to my 3 beers and enjoyed them all. 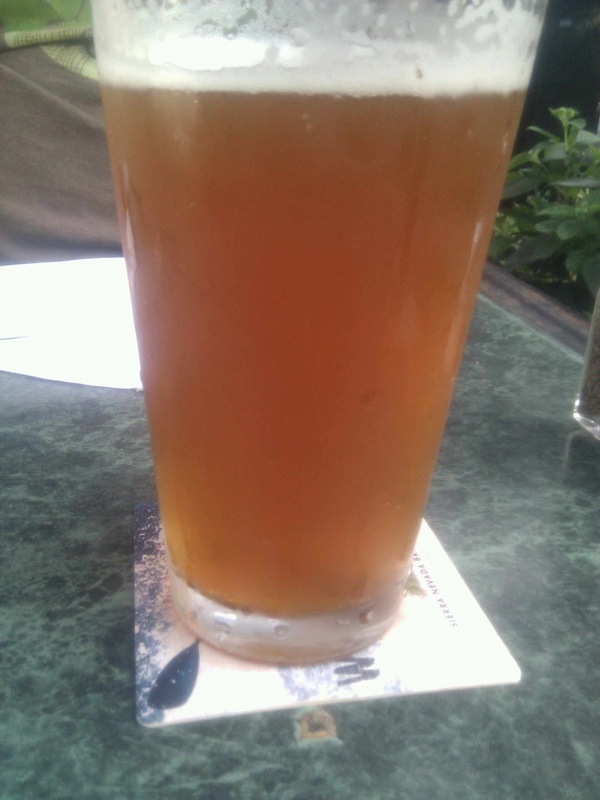 I have reviewed Edward previously and will be reviewing Lawson’s Knockout Blonde in the near future. The others will have to wait for a future trip to Vermont as I did not take good pics or notes while drinking them. I can say the Celia Saison was different than anything I have had before. It is a Gluten free beer which may appeal to some people but for me the taste was a little too funky. The food was amazing with great chicken wings, sweet potato fries and burgers. After this stop we made our way to our hotel in Burlington for the night. It was a long drive and we needed our rest for the next three days. On Thursday our first stop was The Beverage Warehouse in Winooski, VT just north or Burlington. They had a huge selection of beer, wine, glassware and pretty much anything else you would need. We ended up with 3 cases of Heady Topper, bottles from Dogfish Head, Founders (Double Trouble) and much more that we cannot get in Maine as well as some Lawson’s Finest Liquids glasses. They did not have a limit on the amount of Heady Topper which was great as I needed to bring home a bunch for my Maine beer drinking friends. After this we made our way back to Burlington and spent some time on Church Street for some shopping. This is a great little marketplace that has something for everyone. 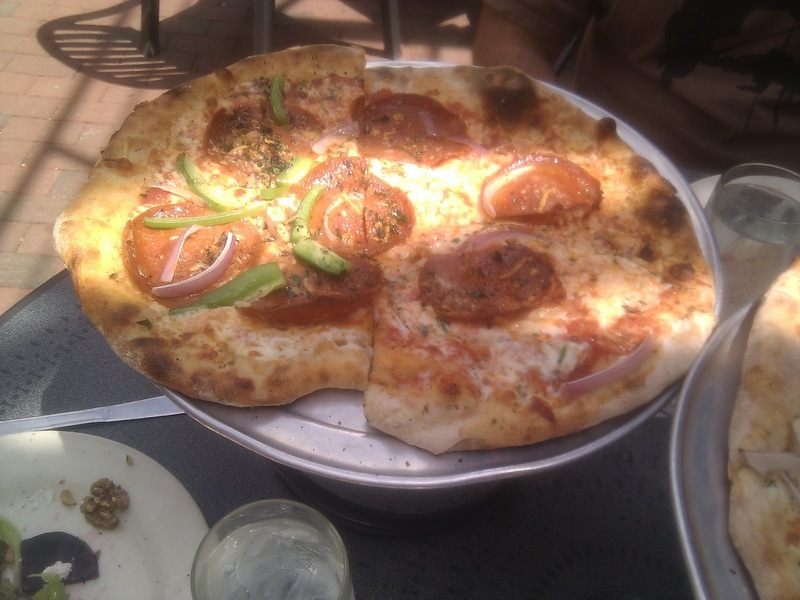 We came back to Church Street on Friday and I will post some info on the restaurant we went to shortly. After American Flatbread we did a little more shopping before heading to Magic Hat for a tour, tasting and the experience of visiting “The Artifactory”. The brewery had a great setup with a nice retail/tasting area however it was a little too touristy for me. 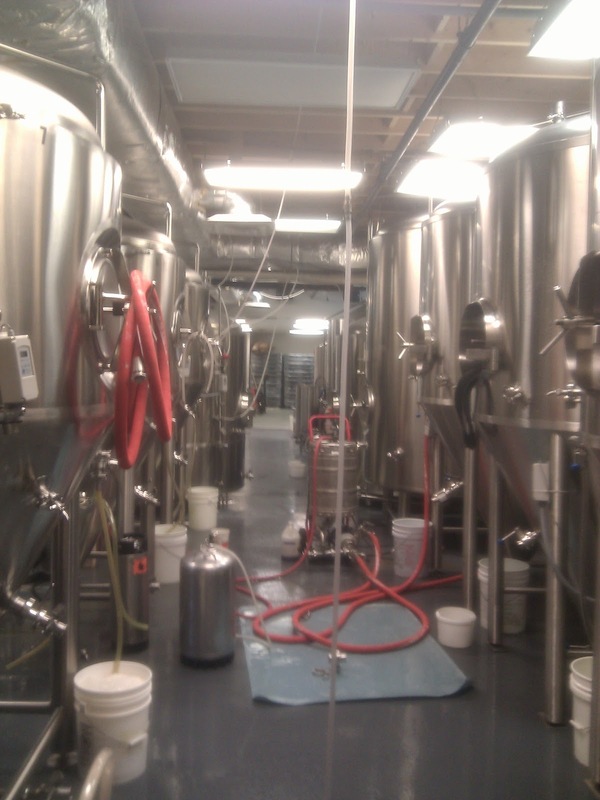 I prefer the small breweries where you actually get to go out on the brewery floor and see the process. Magic Hat has a video for the history of the company (lame) and a loft that you can look down on brewery floor but you get no where near the actual process. Tastings were nice and I got to try a Honey Wheat IPA which is only available at the brewery. Not terribly impressed with this beer so don’t feel like you are missing something by not trying it. Also tried their Imperial Pilsner which was not too exciting. Of course I do not like pilsners so that should not be a surprise. If you like brewery tours I have to say that Allagash in Portland probably has the best tour of all the breweries I have visited. 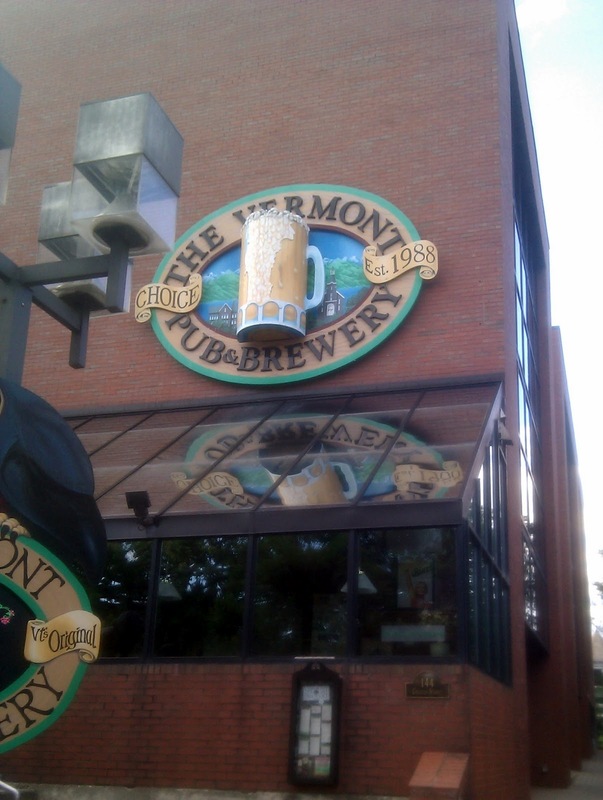 Unfortunately we missed Switchback Brewery as they close at 5:00 but that evening we went to Vermont Pub & Brewery for dinner. After a short wait we were seated outside on a beautiful evening and enjoyed some great food. I had the pulled pork sandwich, wife had a steak sandwich and we also got sweet potato fries and wings. You might start to see a pattern regarding the fries and wings by the end of this post. The beer was good but not excellent and again they had samples, halfs and full pints available so we sampled many beers. A few that stood out are the Green Tea Beer and Forbidden Fruit. Both were excellent and different than most other beers out there. I like it when brewers test the limits of beer and both of these certainly do. Overall this was a great place for dinner and drinks and if you find yourself in Burlington you should definitely go there for lunch or dinner. On Friday we started the day by visiting the Warren Store in Warren, VT in search of Lawson’s Double Sunshine. They had 2 bottles left so I bought both as well as a couple of bottles of Knockout Blonde, reviews on each coming soon. We also had lunch there which was great, homemade bread and top quality turkey. The store is certainly out of the way but worth a visit. They also have lots of clothing which is very expensive but great quality. After the Warren Store we headed back to Waterbury with the intention of taking a tour at Ben & Jerry’s. We arrived at a very busy Ben & Jerry’s facility with more people than any of us could stand. Also the tours that were supposed to start every 30 minutes were not going to start for 45 minutes. We quickly left Ben & Jerry’s and headed just down the road to The Alchemist Brewery. The retail store was small but offered samples, t-shirts, stickers and glassware. There really was not a tour but you can enter a small viewing area near the fermentation tanks to look around. Not a lot going on the day we were there other than some bubbles in buckets from happy yeast. Unlike Ben & Jerry’s the brewery was almost empty which was a nice change after the mob scene down the road. At this point it was Friday afternoon and our short vacation was more than half over. We needed a place for supper so I polled my FB and Twitter friends and received many suggestions. We opted to head back to Church Street and see what we could find. Ended up at Sweetwaters which was excellent. Enjoyed a Switchback Ale and a Mountain Ale by Shed Brewing. Both were excellent and went well the wings, sandwiches and sweet potato fries. 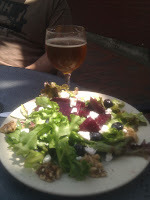 More great food and beer. After supper the wives went off to do some shopping and my brother in law and I headed back to American Flatbread for another beer. Tried their London Calling which is a very low ABV session beer. The place was packed and we never actually made it to the bar or table before finishing our beer, meeting up with our wives and heading home for the night. Saturday morning we went to the Burlington Farmer’s Market which was excellent. Lots of vendors with fresh fruit and produce and several places selling wine and spirits. We found lots of stuff to buy and then headed out to Montpelier to visit the Hunger Mountain Co-op in search of more Lawson’s Double Sunshine. We arrived shortly before lunch and found a great selection of beer including all the Double Sunshine we could buy as there was a 2 bottle per person limit. We also ended up buying lunch and a few other things from the co-op. This is a great place and I wish there was something similar in my area. At this point the car was overloaded with luggage, purchases and lots and lots of beer but we headed north to Hill Farmstead. This was a bit of a drive but so worth it. The brewery is about 3 miles down a dirt road in the middle of no where Vermont. However since I live in the middle of no where Maine we found it quite easily. The brewery was quite busy with cars from New York, Mass, Maine and other states. They had a small tasting area setup outside – any of the beers on tap – tasting for $1 and 2 of them you could buy a cup for $5. I went right into the brewery as I knew I was buying a bit of everything. Line was about 4 deep when we entered and remained at least that busy the entire time we were there. I ended up with 8 – 750 ml bottles and 3 stem glasses. 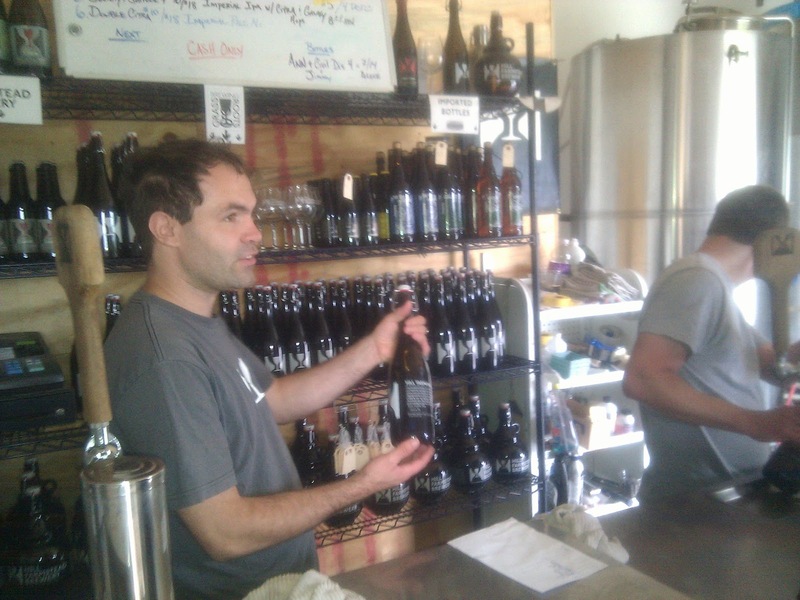 Shaun (owner/brewer) and another employee were filling bottles as fast as the taps would allow. Everyone agreed that Hill Farmstead was the best beer of the trip and the total haul was 12 – 750 ml and a 2 liter growler. You would think at this point we would be done as this was brewery #5 in 3 days and huge amounts of beer purchased and consumed but I had a gift card from Woodstock Inn & Brewery in Woodstock NH so off we went for one last stop. Again we ordered pub appetizers; wings, nachos, onion rings and some stuffed mushroom thing. We also had a sampler of beer and some pints but after our stop at Hill Farmstead the beer here seemed a bit of a let down. After our time at the bar we purchased a couple of growlers of beer, bombers of their 4000’er IPA and a couple of growlers of root beer for the kids. This was a neat little addition that I had never seen before and something fun to bring home for the kids we left behind with grandma. This was an amazing 3-day voyage hitting 6 breweries/brew pubs as well as a few restaurants with amazing tap lists. We had some great food and spent lots of quality time with my wife. Will certainly be heading to Vermont again soon. 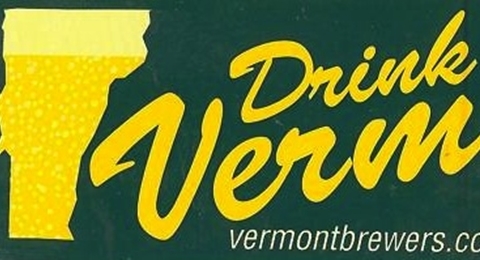 If you are planning a trip to Vermont you may be able to find a few places we did not hit in our three days but if you follow our path you will not be disappointed. Sounds like a great trip… Was lucky enough to try Hill Farmstead at the Farmhouse Tap & Grill in Burlington. Was, quite frankly, awesome for a beer I’d never heard of and worth the trip for any (good) beer connoisseur.